Technology has inspired us since childhood and so we have landed ourselves as graduates in Computer Science. As you know the power of computer science is massive. We want to channelize this power to help the world be a better place for everyone. This app is one small step towards the happy world we want our and future generations to live in. Food is the basic necessity for every human life. Through this app we are ensuring there are no food wastages. Instead, the leftovers are taken to the needy people so that they don’t have to sleep with empty stomachs. 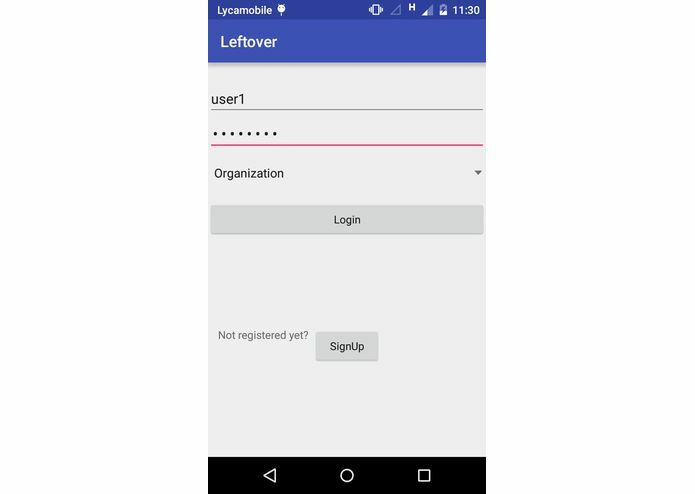 This app connects the donors to the NGOs who work on providing food to the needy people. The donors can be individuals, restaurants, catering businesses and such groups who throw away plenty of food everyday which can be otherwise fed to a thousands of people. We made the app where donors and NGOs can register themselves. If a donor has food left, they can update in the app details about the food (what food item, expiry date, boxes count etc.). The nearest NGOs are notified. NGOs have a set of standardized boxes. The NGOs send their food vans to collect the boxes according to the box details. These collected foods are then sent to the needy people around who can consume it. We worked on this app in three sections. Frontend, backend and UI. We have used Android-Studio to develop the app. Frontend development was done in JAVA and backend was handled with PHP. We used MYSQL for storing and retrieving data. We had to use JSON parsing for our app. None of us had ever had an experience working with it. But we learnt it during the event and used it in our work. Due to image rendering issues, we weren’t able to add images. We will continue to work on it to fix this. It was the first hackathon event for all four of us and we are proud we have started something for the community which if used can make the world a better place. We learned Android Development and PhP. Some of us were beginners in Android Development. If this works, we are looking forward to involve many NGOs who can work on this initiative dedicatedly. We may not eradicate starvation completely but this is the first step towards reducing starvation.